Cairns’ best digital underwater camera hire is at Calypso Reef Imagery, conveniently located at Reef Fleet Terminal, where most of the day tour boats depart from. Your Picture = Our Passion! Our mission is to provide you with an underwater camera which best suits your needs and experience levels. Open 7 days a week, our Cairns digital underwater camera hire starts at just $39 per day and includes free professional advice from expert photographers / videographers. With several underwater modes and the option of shooting RAW, the new TG-5 is a fantastic option for snorkelers and certified divers looking to expand into Underwater Photography. 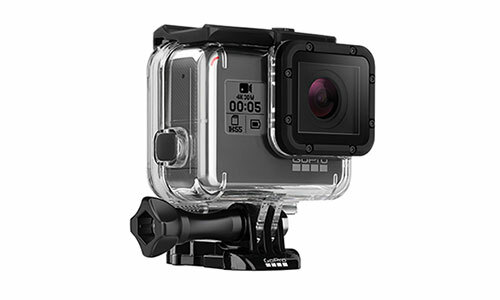 This unit is so user friendly, even beginners can capture amazing memories from their day out on the Great Barrier Reef. The newest edition, and by far the most intuitive model to date. The new Hero 5 Black is user friendly enough for beginners, yet provides powerful video options for professionals. Supplied in the waterproof SuperSuit, you are covered for all underwater activities from snorkelling to scuba diving. 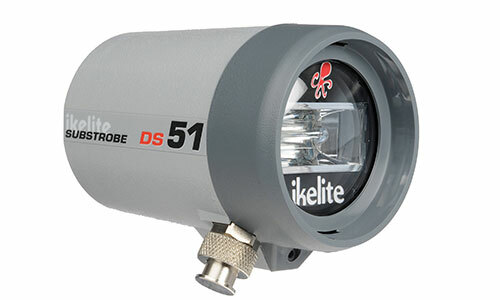 For those in need of some extra light for scuba diving, the Ikelite DS-51 strobe is small yet packs a punch. 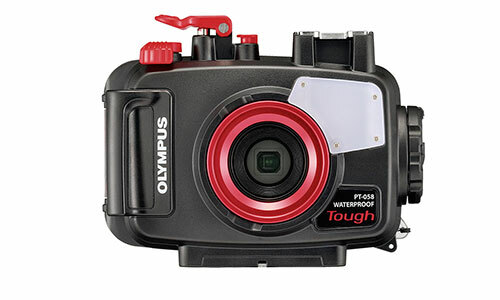 Recommended for people with prior experience with underwater photography, the unit is compatible with our Olympus cameras and any other housing with a fibre optic connection. We also provide lights suitable for video recording. 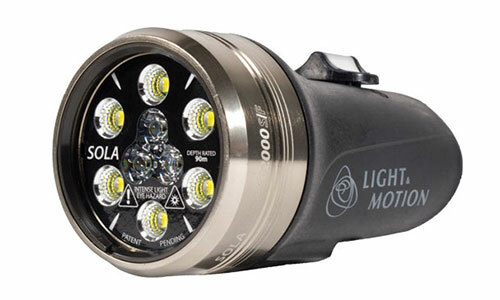 The Light n Motion Underwater Light is compatible with all camera types including GoPro. Depending on your requirements the light has different brightness levels which can be changed with easy to use controls. You get to keep the SD card! Don’t waste your valuable holiday time waiting for us to transfer your images to DVD / memory stick: simply return the camera and take the SD card with you. Convenient Pick-up. We are located right at the Reef Fleet Terminal, the departure point for most of the Cairns Great Barrier Reef day tours. Our office is open from 7am daily. You can collect your camera the day before your trip (any time after 2.30pm) or the morning of your trip. Cameras Suited To Your Needs. 95% of snorkelers and divers have not used an underwater camera before, so we rent cameras which are EASY to use, with PRESET underwater settings. All you need to do is point and shoot. We even provide extra batteries. You Can Not Flood Our Cameras*. This is very important, so you can have a carefree snorkel or dive without the worry of having to pay for a damaged camera. We rent our range of underwater cameras with premium waterproof housings. Therefore, we have no need to zip tie the housing shut, which prevents you from changing batteries should they go flat, or changing SD cards etc. * Lumix FT4 models only. The Newest Cameras. We replace our cameras before they reach 1 year old, so you get trouble free photography. Free, Professional, Great Barrier Reef Images. Receive up to 100 FREE professional images with selected packages. WE ARE FRIENDLY, PROFESSIONAL and PASSIONATE about the Great Barrier Reef! You get to keep the SD card! Calypso Reef Imagery provides professional filming and photography services on most Cairns Great Barrier Reef day tours. Our team is on the reef each and every day and will give you the very best advice on current conditions, underwater visibility and getting picture perfect underwater photos. We pride ourselves as being ocean ambassadors and hope our enthusiasm in capturing imagery to share and protect this magnificent environment is infectious to you.